What sizes of orifices correspond to grills and drill sizes? What size Half Union do you use for the Summerset Alturi Natural Gas Grill? Which door or Refrigerator should I order? Left-Handed, Right-Hinged, Left-Handed Right-Hinged. Where can I find all Summerset Cutout Dimensions for my project? Can I plug my Summerset-Alturi Sear burner or Alturi Double Side burner into a Summerset TRLD Series? 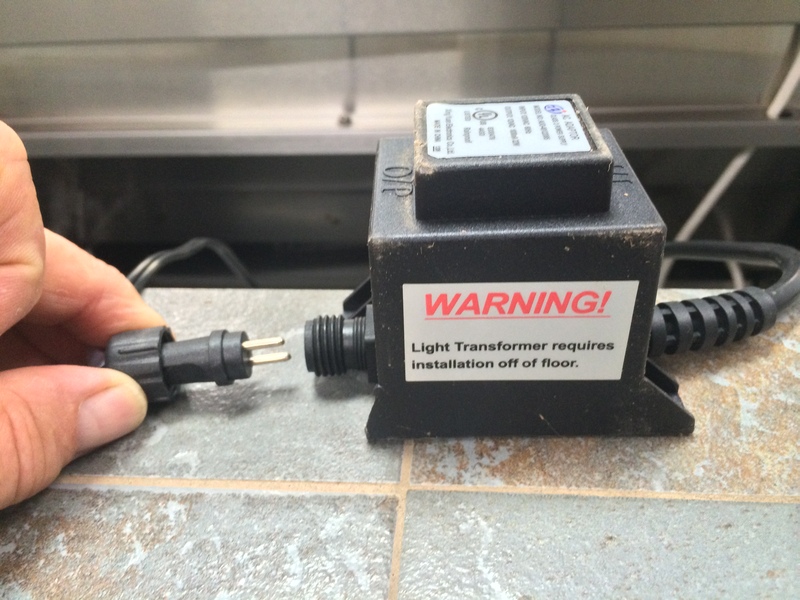 How do I plug my Grill Power Transformer into my Grill & do you have any pictures? 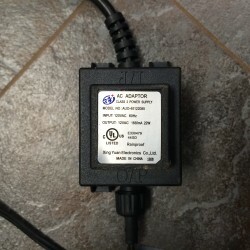 How do you replace the Digital Display and Thermostat for the Summerset ORFR-1? Are there any companies in LA, Orange County, North San Diego, CA that I get my Grill Serviced or Cleaned? 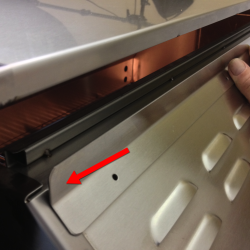 Caution – What you should see before you convert your grill? Which Grill Manufactures can you convert from Natural Gas To Propane or Propane to Natural Gas? How I convert my Ducane Gas Grill to Natural Gas? How can I minimize the Wind from affecting my grill with the lid closed? Spoiler or Wind deflector? Is there a Viking Outdoor Kitchen Cabinet Planning Guide? What is Red Brass and why do Lynx and Alturi use them for their burners? What do I look for in a Mid-Priced to High-End Grill that will last & give My Best Value? What Briquette Tray or Flame Tamer do I use as a Replacement for my Summerset Grill Sizzler TRL TRLD or STG? Do you have Grill manufacture contact information? What is TheGrillFather’s return policies? Who pays Tax when ordering from TheGrillFather? 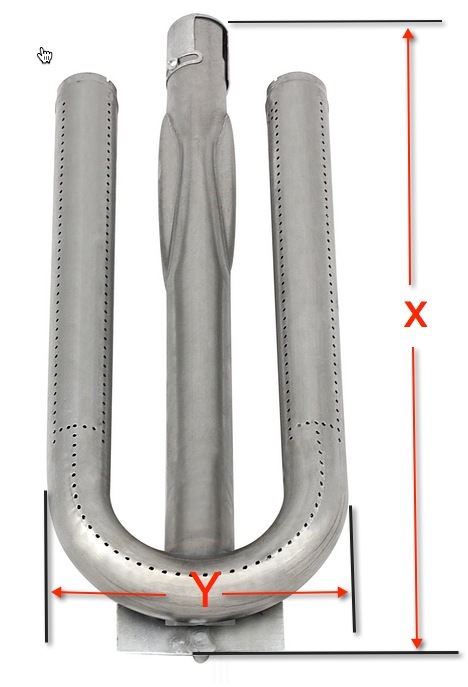 There is very little information anywhere on what sizes orifices are for what grills – All Sizes are in Drill numbers and in MM or Millimeters, the small the number of the drill, the Larger the hole. Do you want to be updated if we can find a conversion solution for you? Click Here to join a growing list. Quickie Video put out by a Summerset Customer Service person to help anyone who needs to know how to correctly Remove and Install the IR burner into their grill. 1. Material: Most manufacturers list Stainless Steel, though not all manufacturers list what grade of stainless the grill is made out of. We highly recommend purchasing a grill that specifically lists “304 Stainless Steel” as this grade of steel is a cut above the rest in that it has a longer lifespan, is more corrosion resistant, and resistant to discoloration due to the high heat from regular use compared to regular steel. Face it, who wants to replace parts, or more importantly, burners on their recently purchased grill? This one is very important not to overlook and if you can find a grill that also uses grade #443, (chromium based and highly corrosion resistant) even better. 2. Cast Burners: Most grills are fitted with stainless steel tubular burners, which are standard, but don’t last as long or perform as well as upgraded Cast Burners. Though they are a good start, we recommend upgrading your burners to Cast Stainless Steel Burners, made of grade #304 stainless steel, these burners are heavy duty, cook evenly, and have a longer life span! ** If you’re a grilling master and want top of the line burners that will not only produce heat evenly, retain heat better in windy or cold weather, you’re going to want to upgrade to Red Brass Burners. 3. 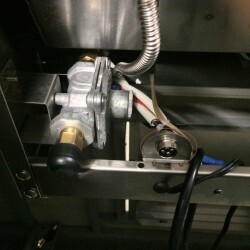 Converision Kit: The majority of technical calls we receive are questions about how to convert a bbq grill from Natural Gas to Propane or Propane to Natural Gas. 80% of those calls we are unable to help because the manufacturer of their grill does not make conversion kits specific to their grill, making it impossible for our customers to keep their grill because they are no longer able to use the fuel type it is in. We highly recommend purchasing a grill that COMES WITH a conversion kit, already included, in the box. You never know when something comes up, a sudden move, or a need to change fuel type. Rather than getting stuck with a grill you can’t convert and purchasing an entirely new grill, find a grill with a conversion kit already included. ** One excellent manufacturer known to include a conversion kit with your grill is SUMMERSET. 4. Grill Cover: This is a no brainer. If you’re investing hundreds of dollars into your bbq grill, it is definitely worth protecting your investment with a grill cover. A heavy duty vinyl or non-vinyl (pvc polyester) will do the trick. It will help keep your grill clean, help keep it from rusting, and also help keep critters out when not in use. A grill and cover go hand in hand. If you stick to these top 5 things when purchasing your next grill, you’ll be sure to keep enjoying grilling year after year, worry free, problem free. Still not sure which grill is right for you? One of our Grillfather Team Experts will be happy to assist. Confused? Not sure which side you want the Hinge or Door handles on? Your not alone which is why we made this guide. 99% of the items you will order or see is defined as a Right-Hand door in reference to the hinge placement, which a Right-Handed door will have the hinges on the Right side and the Handle on the Left. It is probably good to identify both when ordering from someone so you are 100% certain you have conveyed what you want and how they interpret your request. Standard Door / Refrigerator Door – Left-Handed Door = Hinges on the Right and Handle on the Left. Special Door / Refrigerator Door – Right-Handed Door = Hinges on the Left and Handle on the Right. There are two types of UTube burners of this type for the Summerset, Excalibur Barbecues Galore grills. One is around 15″ and the other is around 13″ in length and about 5 1/2 inch wide. You will have one or the other. If you do not have a sample then you will need to measure your opening and take a picture of the grill front and inside and we will take it from there. We have enclosed a picture to help you decide on which is the one you need. 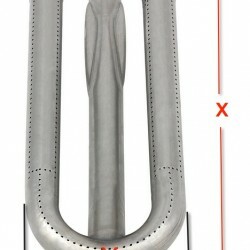 You can find the dimensions for each Summerset product in the Specs area of all of TheGrillFather.com products. You can also find all the Summerset Cutout Dimensions on the Summerset grill site here. In Short, Yes you can. 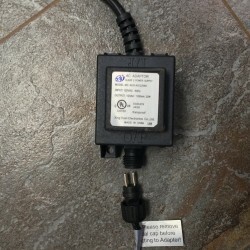 It has been completely tested in our showroom and the plug that is in the back of the built-in side units will plug into any Summerset Grill that has a second auxiliary mail socket. This allows the consumer to mix and match the grills with the Summerset Side appliances. 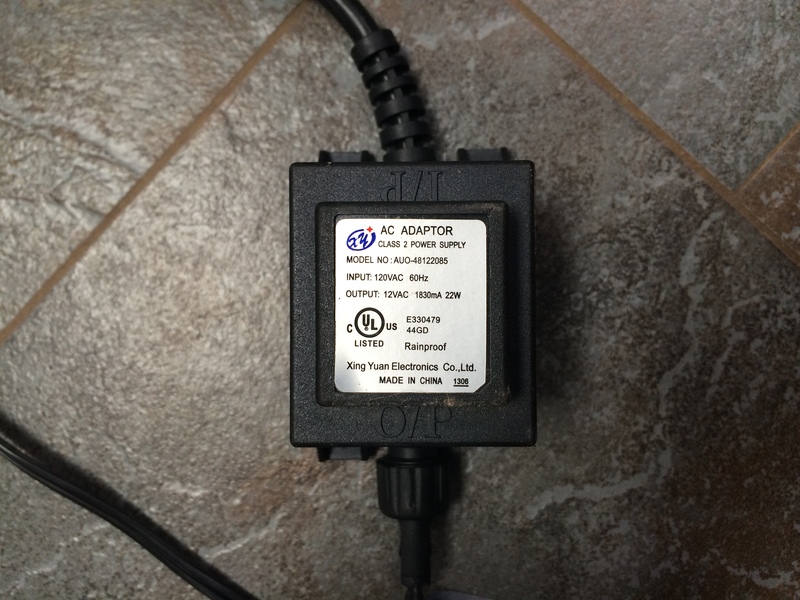 Here are some photos that will help you understand what your transformer connections look like. 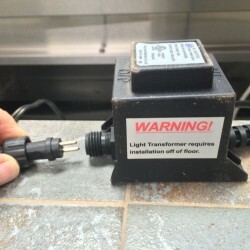 Each grill comes with a plug to accept the transformer or power adapter and it is all low voltage coming out of the transformer so the two pronged plug side is safe to touch without harm from electrical shock or harm. 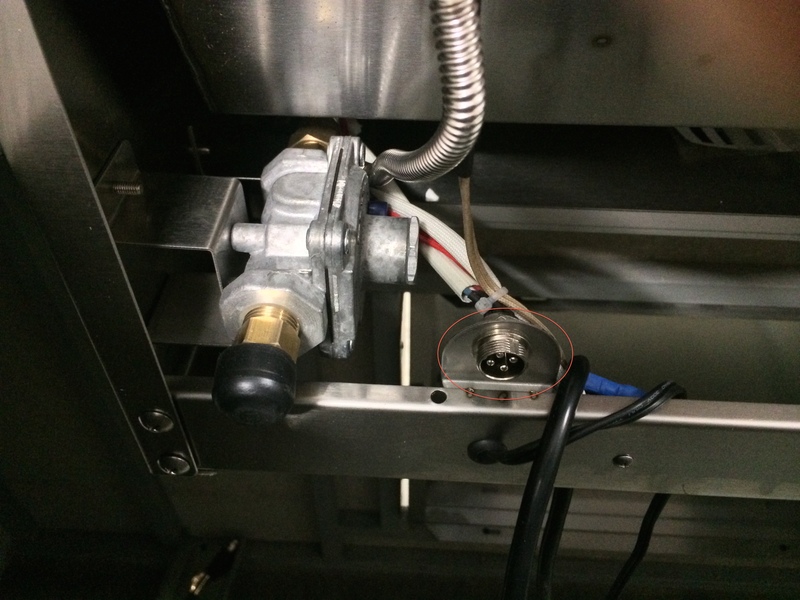 See the picture with the red ring around it and that is where you would plug in ANY Summerset grill accessory like a Double burner or Sear burner. Yes, these are companies we have had good feedback from and will Post more we will let you know but for now. TheGrillFather.com receives daily inquiries and emails for Gas and Propane Grill conversion kits for almost every well-known and obscure grill on the planet. We have called most of the popular and less main-stream Grill Manufactures to inquire if we could assist our customers with your issue with very little or no satisfaction. The only one that we were able to get any traction was Sears Kenmore and Sears-sold brands. it was allot of time and energy to spent find the right person to get us the right part numbers. Many of you have large grills that need conversion and cannot be resolved. Why do most Manufactures not carry the kits? The answer is simple, Liability. Someone got hurt and they decided not expose themselves to potential danger any longer. TheGrillFather understands how frustrating this can be and we how narrow-minded and unresponsive the majority of manufactures can be with such an overwhelming customer service-issue. The manufacture may change their attitude if you write or call your manufacture and let them see and understand the need for this to be addressed with their expensive grills so they do not become doorstops. For the Do-it-yourselfer or DIY’er. See our link for more information on who actually has conversion kits and if they are even available. Sears Kenmore and other Sears sold brands. We can get some Sears grill conversion kits and we charge a flat fee of $250 to hunt down the part and ship them to you. We wish you the best in finding your grill conversion kit and let us know we you have success so we can tell others. If you are trying to convert your grill and want to call Weber to get conversion parts….as of Feburary 20, 2014 forget it. They are no help at all. I hear they are working on something but not too promising because many people want to convert their older grills and they are thinking about offering conversion on their new grills. Yeah really good customer service. There are allot of pissed off people and I hope our homework saves you headache. Here is their contact information. Considering converting your Weber, Napoleon, Lynx, Twin Eagles, Fire Magic, grill without consulting a professional or knowing or understanding what you are doing? Summerset Professional Grills are the ONLY grill on the market that we know of that come Included with your new grill. Be Careful !, Especially when converting from Natural Gas to Propane. Natural Gas is Low pressure and pushing LP which is two times the pressure can result in damage to life, limb and or grill. Be careful. We see charbroiled rubber LP hoses, damaged grills, and terrified DYI’ers. 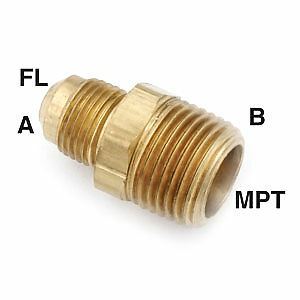 Weber flat out does not offer ANY conversion and others you need to pay for. One responsible company stands out, Summerset Professional Grills because they include a conversion kit with EVERY grill at no additional charge. This is just one reason why we review a Grill attributes for their best overall customer experience. If you are looking to convert your BBQ grill to Liquid Propane or Natural Gas, check out the video below. Our BBQ grill experts will show you step by step instructions and even give you hands on advice! Whether you are looking to convert your built-in BBQ or portable BBQ we can help. WE DO NOT CARRY WEBER CONVERSION KITS. We are compiling a list for you and it will be ongoing. Weber – Contact Frank at Weber Parts Center.com Conversion kits Frank at 877-731-8081, only conversion company available. approximately $179 for 3 burner, and $329 for Summit 6-8 burner conversion kit. 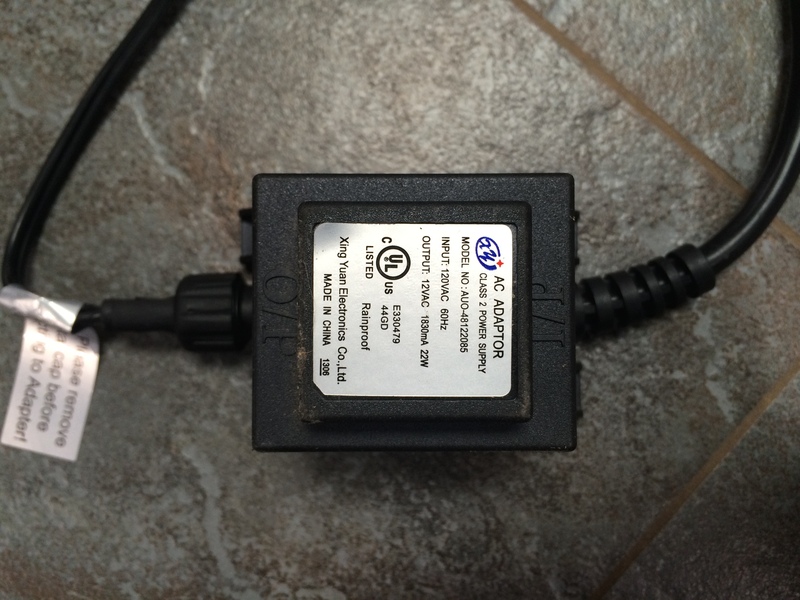 Note: If the manufacture does not offer a conversion kit then it probably is not available. TheGrillFather.com does NOT sell any kits other than the Brands we sell and that are available. Moving from Propane to Natural Gas is the ONLY direction that will allow you to do this because the hole for Natural Gas is smaller and technically can be drilled out. Do we recommend it to the average user? NO we do not . What size hole should you have for your orifices? Converting from LP to natural gas safely and correctly involves more than might be apparent to the typical DIYer. Frankly, it’s folly to drill out orifices. If you can get the correct orifice, don’t do it. You need to get the correct sized orifice, get the gas pressure correct which may involve a new regulator, adjust the primary air shutters correctly and generally be able to look at the equipment and how it’s operating to be sure it’s correct. Not really a good DIY project, in my opinion. Too many things that require some judgment and experience to get correct. You need to contact the manufacturer for a conversion kit. 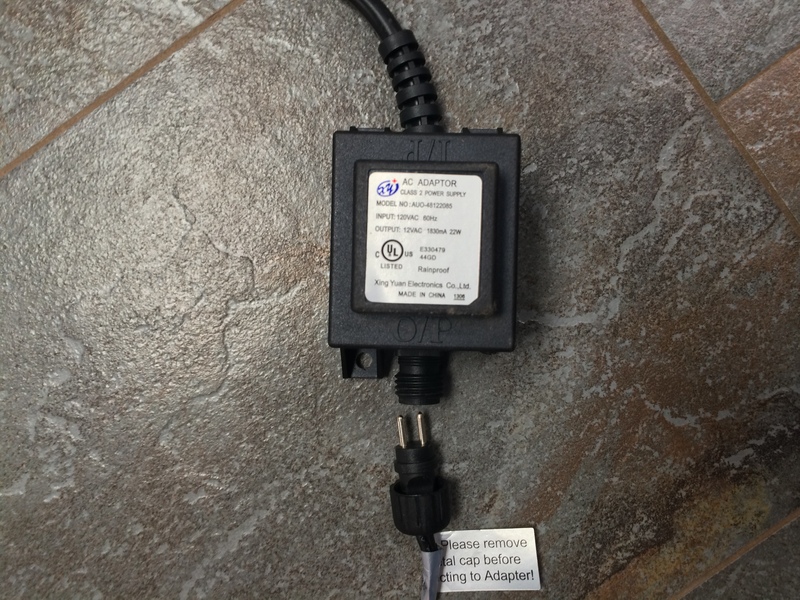 The most important thing in that conversion kit is a new rating plate for the appliance. 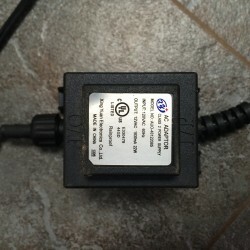 This certifies that the manufacturer has “approved” the appliance for use with that fuel. 15 years ago we could just drill out orifices and away you go, but those days are long gone! The liability is too great. If you “Mcgyver” the grill and convert it yourself, you better pray long and hard that no one gets hurt by that thing or it causes a fire! Insurance companies will deny any claims and the manufacturer will take no responsibility because you have “altered” the appliance. Trust me! It’s not worth the risk! Either get an approved conversion kit or just replace the grill with a new natural gas model. 21 years experience in the propane business and a licenced gas fitter. Ducane was acquired by Weber. We regret to say, we have called the factory and after lots of questions we have found that the factory does not offer a conversion kit nor will they entertain assisting on this matter. You may want to consider selling your grill and call or write TheGrillFather for assistance in finding a comprable grill. – Most grades and forms of stainless are not environmentally stain or rust proof. Although the word Stainless appears in the product description name, one assumes you set it up and leave it alone. This is not the case. You should give your Island and or grill some love and it will last you a long time. – The standard stainless material used in the Stainless BBQ industry is #304. One of the alloys of this material is Nickel which is fairly non-corrosive in a non-corrosive environment and is also non-magnetic. – Always look for #304 Stainless throughout the grill, not just the grill box, all the briquette trays, hood, etc. – #304 Stainless is an expensive material and has proved to be a workhorse for outdoor use in normal environments. – Some manufactures use a combination of #443 Stainless and #304 returning tougher and longer lasting metal combination. I know of one manufacture that uses 443 in all their grills, Summerset. – Without care, Salt, Salt water and sea air, over time, will affect and potentially corrode almost any stainless steel. – The outer shell on stainless appliances should be cared for on a weekly bases, yes weekly. We have found that you use a general cleaner to first clean the grill shell, using a general purpose cleaner like Fantastic, Windex with ammonia. After you clean your entire grill, doors, drawers, and refrigerator, and wipe it off, apply a specific good general stainless steel cleaner / protectorate. In 20 years of Grill maintenance, Hands down, ZEP Stainless Steel products produce the best and longest lasting results as a cleaner and beautifier on the market. Home Depot, Lowes, etc. Ask for your free cleaning kit when ordering your new grill from TheGrillFather.com. – The closer you are to salt water, the bigger the risk of corrosion, and the faster your outdoor stainless appliances will tarnish or corrode, IF not cared for. – Proper card of your Stainless Steel Grill will extend the life of your outdoor stainless appliance for years. – Important Tip – If you are constructing a new BBQ Island, Be ware of many Building materials such as Pool Chlorine, Cement, Stucco, and tile materials, all will have an immediate affect on the stainless steel products. Chemicals used in stone masonry, tiling, grouting, cement dust, sealers, cleaning acids will compromise the material. Your stainless appliances should not be in the area of construction until the construction process is completed. Immediately wipe of the grout off any exposed stainless with a soft wet sponge will leave it’s mark. Tape your Stainless appliance off during any grout or tiling construction. – Tree saps, bird droppings, pool chlorine, dog urine will affect your stainless appliances. – Your dogs shacking-off after a swim in the pool will all accelerate the spots, markings, or corrosion process. – Leaving the product in the box outside can create moisture, which can cause the cardboard and other packing material to react with the Stainless steel. 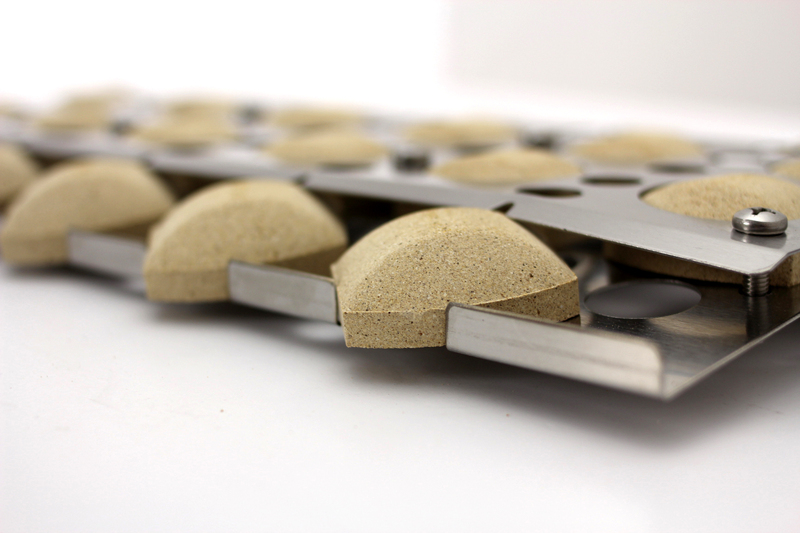 – Any Direct contact with carboard on Stainless Steel will mar the finish. We encourage you to comment with your own Tips and experiences. 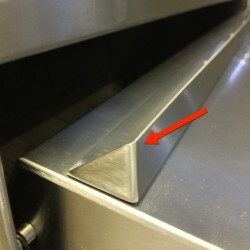 Most high-end Barbecue grills have a heat breathing-gap behind the hood of the grill. We have found in a “perfect storm” or high windy conditions could affect the overall grill heat and in some cases push heat towards the front of the grills towards your valves or controls, making them hot to the touch and is not good for the valves or controls. As as solution, Summerset Professional is the first company to remedy this solution by manufacturing a spoiler into the Alturi and has an after-market part for all the Summerset barbecue lines. Adding this custom stainless steel wind “deflector” or “spoiler” that can easily be installed. You will need to purchase a 1/8″ high speed carbide tipped drill bit as you are drilling into stainless steel. I suggest you buy multiple drill bits as they can break. Use a drilling oil to keep the drill bit lubricated. we suggest you locate 1/8″ stainless steel screw at 1/2″ in length at your local hardware store and screw them in place. There were some units that we found that are very similar and parts are interchangeable and here is a short list. Grates, burners, and flame briquettes are the same. Quivira = Summerset – briquette trays and some grills. Photos and measurements required to confirm. * Subject to environment and care. Limited (1 Year) Warranty on all Lighting & Electrical Components. * Applies to original owner only. Limited (5 Year) Warranty on Grill Carts. Note: You must fill this out and email or fax it to us before we process any warranties. What if my product was damaged in shipping? Take photos of the damaged shipment, including the box and the product. The better the photos the quicker the claim gets processed. We take damaged items very seriously and it can happen and we take priority to resolve them for you. Two(2) year limited warranty on construction and workmanship. One(1) year limited warranty on valves, grates, burner covers, basin and drip try. One(1) year warranty on rotisserie motor. Five(5) year limited warranty on all internal parts, including: grates, burner covers, basin and drip tray. Two(2) year limited warranty on rotisserie motor and valves. Three (3) year warranty on construction, workmanship and materials. Two (2) year warranty on valves and burners. Doors, Drawers, Ice Bins, Beverage Centers, Sinks and Grill Liners. Limited lifetime warranty for defects in workmanship on outdoor kitchen stainless steel components covering construction and materials. Warranty applies only to original purchaser and may not be transferred. Warranty will not apply for damage resulting from improper installation, abuse, hostile environments, flare up fires or misuse. Warranty claims require a photo of defective item. Unique to almost any grill on the market and At the heart of every Alturi and Lynx Gas Grill are a set of heavy duty solid cast brass burner that come with a lifetime guarantee. The burners are 25,000 BTU’s each. The also come with a standard rotisserie that can accommodate 65 pounds of meat. You’ll also find stylish external Blue Lit LED lighting and 2 internal halogen light so you can grill in the dark. Alturi and Lynx makes some of the best grills on the market and this one is one of there best. The Alturi comes with an external 7k Stainless Steel Smoker box! Depends… Buy Lynx to follow the pack that is safe and your buddies envy..
or pick the every stylish and solid built Alturi with the same styles, same Cast Burners, smoker box, at about 30% savings, and your grill will be the centerpiece and it will be the topic of discussion while smoking the competition. There are several factors in looking for a grill. The GrillFather will not pull any punches with it’s recommendations. Almost everyone looking for a grill starts with Weber. It is a name most of us grew up with. Our Grill Concierges will assist you in finding out what your needs are. The Summerset Premiere 32 Grill, with or without a Cart is a handsome Beefy Grill with heavy duty everything to allow you to have many years of trouble-free Grilling enjoyment. This cart has solid and sturdy collapsable side shelves, for easy storage and smoother mobility. The Premiere cart has a unique propane tank slid-out rack for easy tank check and swap, normally found Premium Grill.. So with the Premier Grill you get both quality and value at a modest price, and FREE SHIPPING! When looking to barbecue your food, nothing can beat the speed and convenience of a propane gas grill. However, not all gas grills are created equal. Here are a few key items you should look for when you’re getting ready to start your summertime cooking. One of the main things manufacturers like to display when promoting a grill is its BTUs (British Thermal Units). This is a measurement of the heat generated, per hour, by the burners. Furthermore, a BTU is the amount of heat it takes to raise the temperature of a pound of water by one degree Fahrenheit. While this specification can tell you how hot a grill can get, it isn’t the only thing you should be looking for. Other important aspects include how many burners the grill has, the type of fuel it uses, the type of ignition is uses and if it features a rotisserie burner, a sear burner or infrared technology. One of the worst things that can happen at a backyard BBQ is if running out of space on the grill. A large primary cooking area is important to make sure you can cook for as many guests as possible, and a spacious warming rack will let you slowly melt the cheese on your hamburgers while you finish cooking the last couple of patties. In addition to this, some grills are available in both liquid propane (LP) and natural gas (NG) models, whereas others allow you to convert the propane grill into a natural gas grill. This kind of versatility is important to help you get the grill power you need. High Quality materials make all the difference in the longevity of your gas grill. Stainless steel is resistant to rust. Cast iron grates hold heat for a long time and are able to sear your food better. In addition, a porcelain coating will help keep food from sticking to the grates. The importance of the size of the grill will vary depending on where you are trying to place the unit. Be sure you have enough space to keep your grill a safe distance from your house and other structures. If you need help with your grill, it’s important that you easily can contact the manufacturer and get a quick response. In addition, an online manual will ensure you can always find the instructions, even if you lose the physical copy. Finally, a lengthy warranty on the burners and other parts of the grill inspires confidence that you and your gas grill will be cooking together for a very long time. If you are trying to convert your grill and want to call Weber to get conversion parts….Contact Frank at Weber Parts Center.com Conversion kits Frank at 877-731-8081, only conversion company available. approximately $179 for 3 burner, and $329 for Summit 6-8 burner conversion kit. Your order on all Items over $1,399 will get you FREE SHIPPING, especially when we are shipping a beefy-sized grill half-way across the country. Look for various Specials on other brands throughout the year. Do you have a Big Order? We can we help you with an affordable Custom “Purchase-to-Ship” build for your Outdoor Living Staycation dream project. Our “Grill-OPS” team can build a Custom Quote for you with “Flexible Custom Creative Pricing and Shipping abilities”. We Encourage you to send us a shopping list and then call us so we can fill your needs and make an offer with service you can’t refuse. Write our GrillOps Team. Shipping times are typically 7-10 business days, not including Saturday’s or Sunday’s. And what if your order is less than $1,399? Most items ship for $14.95 per-24.95 flat fees item. Discounts on multiple items, call. CALL US – You can always call us on Orders under $1,399 and see if we can can qualify your order for free shipping. This does not include special delivery or some specific curbside deliveries like White Glove delivery or additional factors that complicate normal delivery such as delivering a Grill or Grill system to the middle of nowhere or to the penthouse level of a tall building, then, the customer is responsible for additional shipping charges. We truck with great hand-on trucking service. Our service can call to coordinate your delivery to meet your busy life. Any company that is not realistically telling you that shipping will take from 7-10 business days days is not being truthful. Of course, you may get lucky but 7-10 business days is a reasonable time. Most orders received before 1:00PM PST will ship within 24 hrs. , provided the product ordered is in stock. Most orders received after 1:00PM PST will ship the day after the next business day or we will contact you with custom delivery times. Orders large trucked orders are not processed or shipped on Saturday or Sunday, except by prior arrangement. We will do our best to make sure your oder is expedited. There can be circumstances that cannot guarantee when an order will arrive. Shipping or transit time offered to you by TheGrillfather.com or other parties are only fair estimates of time and cost. We encourage you to order in a timely fashion to avoid delays caused by shipping or product availability. We ship mainly to the Continental US and Hawaii. Call for quote and delivery to Hawaii and we will discount your shipping fee, less expensive than most companies. We do ship to Canada, however you will need to call for a quote and we can arrange your shipment. Customer will have to pay VAT Tax/Customs with a chosen Customs broker. Unless otherwise specified, all materials appearing on this site, including the text, site design, logos, graphics, icons, and images, as well as the selection, assembly and arrangement thereof, are the sole property of TheGrillfather.com., Copyright © 2012, ALL RIGHTS RESERVED. You may use the content of this site only for the purpose of shopping on this site or placing an order on this site and for no other purpose. No materials from this site may be copied, reproduced, modified, republished, uploaded, posted, transmitted, or distributed in any form or by any means without our prior written permission. All rights not expressly granted herein are reserved. Any unauthorized use of the materials appearing on this site may violate copyright, trademark and other applicable laws and could result in criminal or civil penalties. Your receipt of an electronic or other form of order confirmation does not signify our acceptance of your order, nor does it constitute confirmation of our offer to sell. TheGrillfather.com reserves the right at any time after receipt of your order to accept or decline your order for any reason or to supply less than the quantity you ordered of any item. We will ship your product as it becomes available. Usually, products ship the same day if ordered by 4:00PM PST, or by the next business day if your order is received after this time and for orders received on Saturday, Sunday or any major holiday. However, there may be times when the product you have ordered is out-of-stock which will delay fulfilling your order. We will keep you informed of any products that you have ordered that are out-of-stock and unavailable for immediate shipment. You may cancel your order at any time prior to shipping. We keep your personal information private and secure. When you make a purchase from TheGrillfather.com, you provide your name, email address, credit card information, address, phone number, and a password. We use this information to process your orders, to keep you updated on your orders and to personalize your shopping experience. To keep you informed about our latest offers, we may notify you of current promotions, specials and new additions to TheGrillfather.com site. You may unsubscribe from our newsletters by following the unsubscribe instructions in any email you receive from us. When entering any of our contests or prize drawings, you provide your name, email address and mailing address. If you win, we will send the prize to the address entered and notify you by email. When you enter a contest or drawing you are also included in our newsletter list to receive notice of promotions, specials and new additions to TheGrillfather.com. You may unsubscribe from this news list by following the unsubscribe instructions in any email received. If an item is shipped and returned because it is not deliverable due to an incorrect address, the customer will be responsible for shipping both ways. Orders for larger items that must ship freight require the shipping company to contact the customer prior to delivery. If the product is returned because the freight company could not reach the customer, this will be considered a return, and the order will be subject to our regular return policies. A 15% restocking fee can be imposed on items returned that are not defective. All returns require previous communication with TheGrillfather.com and a valid RMA (Return Merchandise Authorization) Number. Please do not simply ship items back. Items must be returned prepaid in resalable condition with all documentation, hoses, etc. Please package your shipment well and insure your shipment. If your return arrives to us damaged, you will have to file a claim with the shipping company to be reimbursed for the product. We are not responsible for damages during shipping on returns. Contact us to schedule a return and check back with us several days after you have shipped it. We will not be held responsible for a refund if a follow up call is not made by the customer. Our TheGrillfather.com 100% Satisfaction Guarantee that your items have good workmanship and function properly in all normal environments and product handling. Stainless Steel products ARE very delicate in when shipping and handling. Did you know that Cardboard rubbed against your Grill Hood, Doors or Drawers will Mar to the point it cannot be returned or resold. Please read the Red information below about care and handling so you get the full value of your return. We encourage you to call and talk to our team to rule out product or satisfaction issues. Most manufacturers will not take back any items that have been used or cooked on at all. If you have met the return conditions, you may return your product within 30 days from date of shipment for a refund of the purchase price (this does not include your original shipping fees or returns). Attached with the original receipt or Verification by TheGrillFather. Product can not have been purchased as a “Discount Price” , Due to the complexity of the discounted sale. On all returns, the customer is responsible for all shipping charges, including any costs incurred in getting the product both to and from the customer, regardless of whether shipping was originally charged or not. If we sold or shipped you the wrong item, we will refund your entire amount. A 15% Restocking fee or more will be imposed on all returns. California Residence are the only ones who pay taxes.